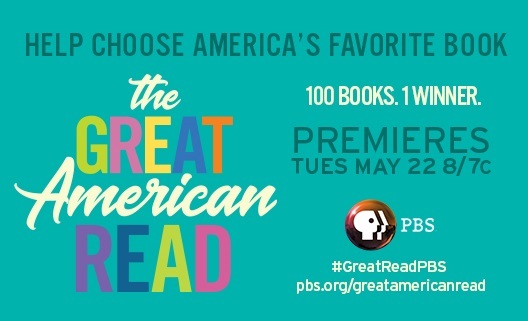 The new PBS series The Great American Read premieres on Tuesday, May 22nd. Tune in at 8:00 p.m. PT to join host Meredith Vieira in a national conversation about America’s favorite books. In the meantime, check out this list of America’s 100 most-loved books in your classroom and introduce students to books such as Their Eyes Were Watching God, The Great Gatsby, To Kill a Mockingbird, The Grapes of Wrath and more. Use the corresponding lesson plan collection from PBS Learning Media to help students think about how these books have shaped our diverse nation and our shared human experience. Use these documentary clips, lesson plans and primary sources to introduce students to the importance of symbolism, characterization and magical realism in Zora Neale Hurston’s novel. Explore the role of character development and narrative perspective in F. Scott Fitzgerald’s book with these literary analysis tools, videos and primary sources. Encourage students to consider how the social and political tensions of the Roaring Twenties might connect to current events. Use these videos, lesson plans and primary sources to explore the importance of setting and character in Harper Lee’s novel, which explores issues of race, class and gender in the American South. Introduce students to the history of the Dust Bowl with these videos, excerpts and primary sources about John Steinbeck’s book. Help students consider literary devices like setting and theme as they follow the Joad family’s search for the American Dream during the depths of the Great Depression.